What a clever idea for beauty and make-up lovers! The cupcakes are chocolate with buttercream frosting. 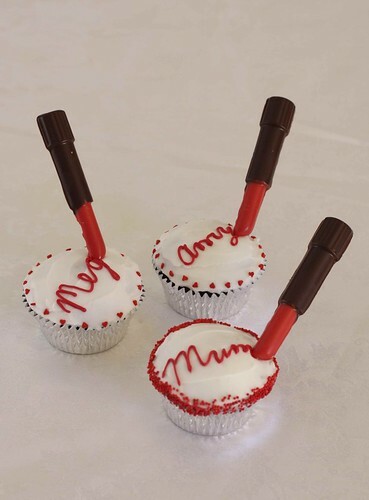 The lipsticks are molded chocolate.